Elvis had it right. Sometimes you just need leave the building. It started to rain tonight as me and Hannah walked to Eastern Market. We didn’t have any idea where we were going. All we knew was that we hadn’t eaten and could eat a small mammal. We ran into Matchbox, which Hannah had heard was great. We sat next to a couple on their first date. It was painful to listen to. This girl was sitting there talking about all the horrible past dates she had been on. This guy clearly did not care about all the dates this girl had been on. Then they talked about Kentucky for a while. I felt bad for the guy but he kept buying her drinks like he was in it for the long-haul so good for him. Anywho. I found this on our way back. 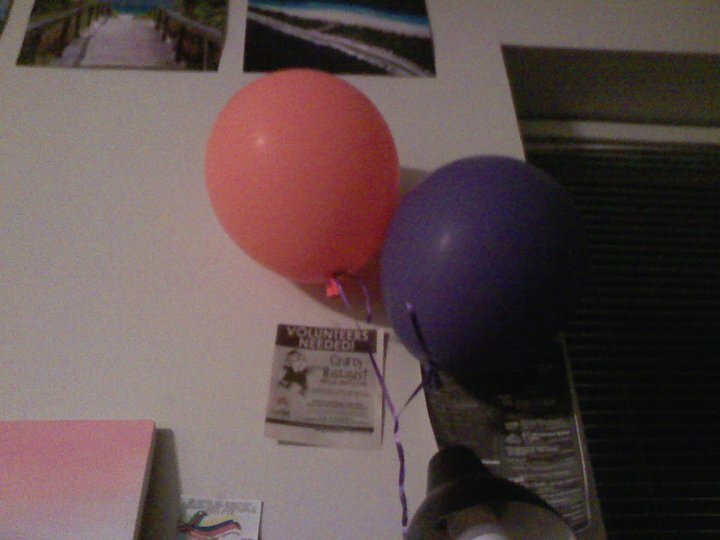 I think it’s impossible to “steal” balloons. All balloons should be fair game. You make this kind of stuff seem easy. Very observational and (seemingly) simple. A lesson learned for me. Thx!